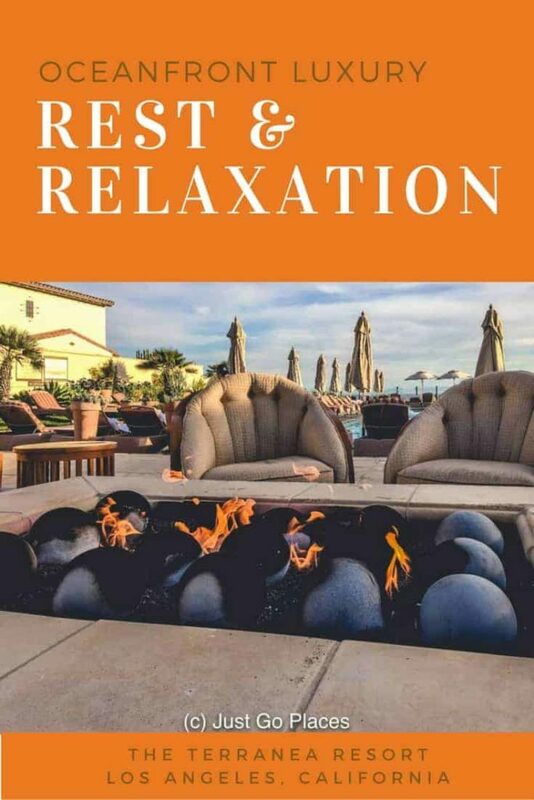 The Terranea Resort in Los Angeles does not wow you so much as lulls you into a comfortable, self-indulgent experience. The gently swaying palm trees, the fireplaces lit up to ward of the nip of the Atlantic air, and the view of Catalina Island covered in hazy sunshine all provide sensory clues to your body to relax. It’s as if the warm wind is whispering in your ear “chillax bro, you’re in SoCal”. Although we only spent a few days of oceanfront bliss at the luxury hotel Terranea, we returned to London feeling as if we’d been away for a couple of weeks. 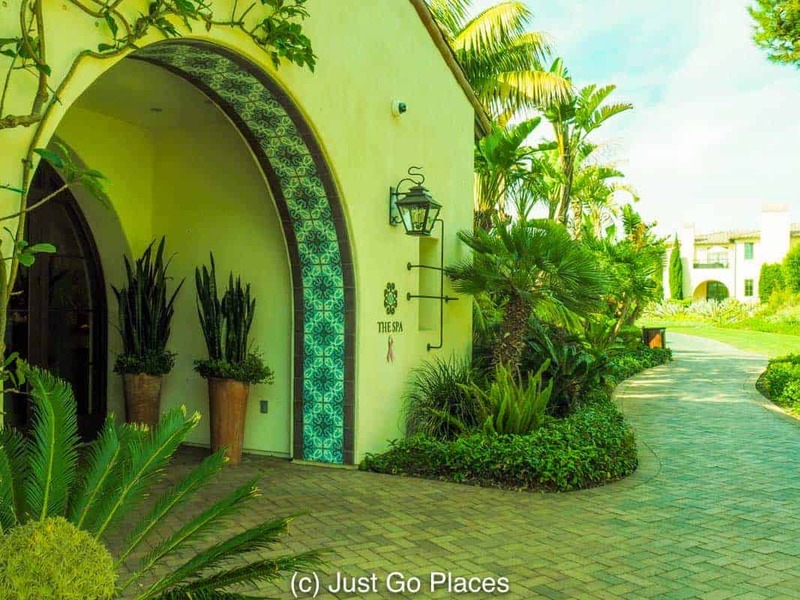 The Mediterrranean style Terranea let you enjoy the best of the near-perfect Southern California weather. 6.2 Join our growing community of readers! 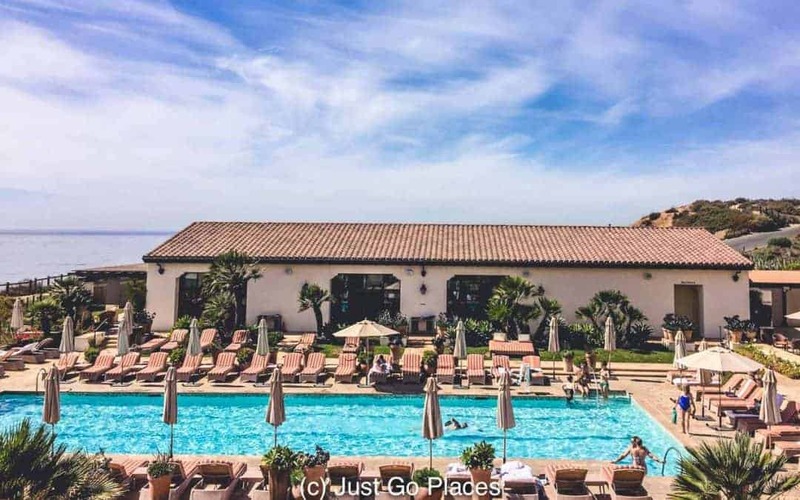 The Terranea resort is enormous with 582 rooms set on 102 beautifully-landscaped acres. 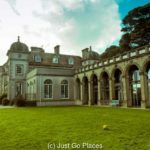 The size means that it can host lots of conferences and weddings (including a wedding for the contestants of US reality show, The Bachelor). For example, we were randomly chatting to people who owned a store on hipster road Albert Kinney in Venice Beach and they had just been to a wedding at the Terranea Resort. The Terranea resort has a contemporary Mediterranean vibe. 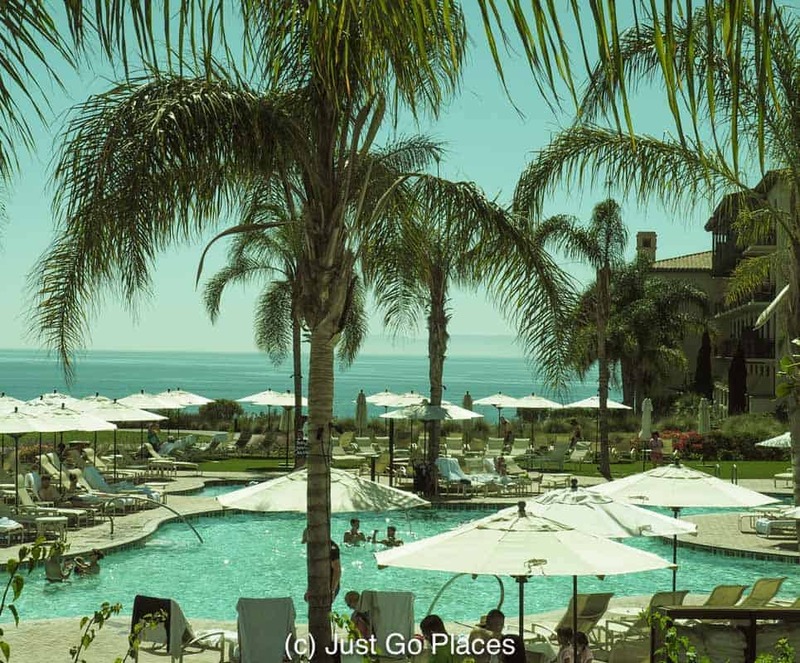 The Terranea hotel itself is styled with a luxe Mediterranean vibe. Although landscaped well, it does look like a ‘hotel’ with one giant building stretching around. The front entrance does try to give the impression that you are walking into an an enormous home. The villas seem to have better cliffside views over the ocean than the hotel. 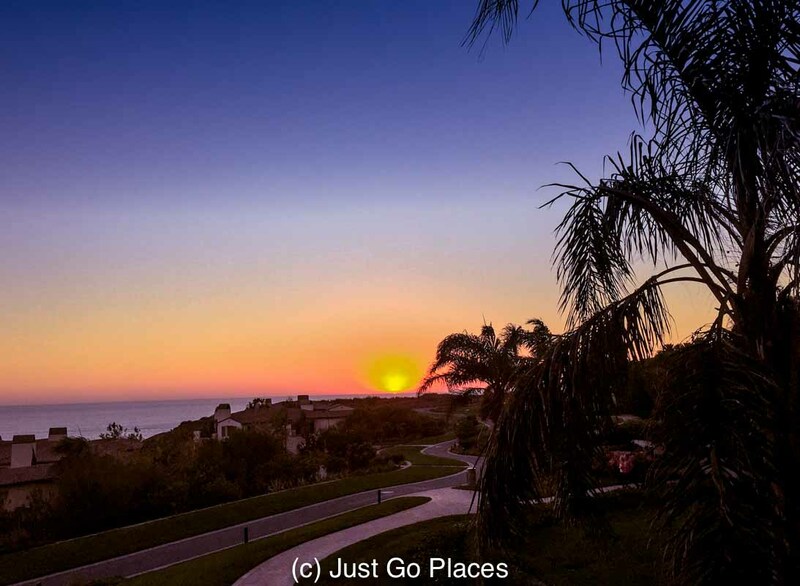 The view of the sunset from our hotel terrace was a highlight of our stay at the Terranea. You pull your car up to the front of the Terranea and valet parking whisks your car away. As you enter the huge double doors, you are greeted by the sunny blue of a California sky. You really do feel like you are a world away. The Terranea spa and fitness centre is likewise a massive 50,000 s.f. 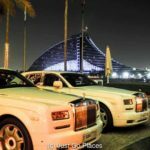 of sybaritic luxury. You can take spinning classes looking out over the Pacific Ocean and hearing the crashing of the waves. I wish I could say I was motivated enough to have tried this fitness experience. I felt my skill set was more suited to trying out the Terranea spa facilities. With 25 treatment rooms, I saw guests wandering around but it did not feel crowded. 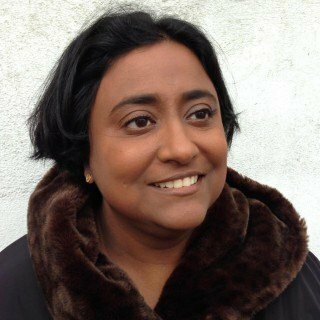 The spa treatments themselves were very good with experienced, knowledgeable therapists. The Terranea Spa thinks of al the little touches that elevate a spa experience above the ordinary, such as ice cold towels and large lounge areas. The Terranea spa is described as cliffside to make it sound better that there is no beach to speak of. You can hear the crash of waves from the upstairs spa lounge where I would have hung out more if only I had access to WiFi. At the Terranea, I had a Vichy shower for the first time (where you are lying down as the shower sprays over you). There was something decadent about lying down on a therapy bed under a shower while looking out at the Spa pool and blue California sky. To access the spa area you need to wear a plastic bracelet like the kind they give you at all-inclusive resorts. Only people with treatments at the spa or who buy a day pass can access the spa pool. The spa area is only for over 18s. I found the lack of WiFI in the spa itself annoying even though there is WiFi outside by the pool. As an adult you have a choice of which Terranea Resort pool you can choose. The Spa Pool is large, overlooking the ocean and has very comfortable loungers. You have limited access to the Spa pool because you need to be either using the spa facilities or have purchased a day pass. Another adults-only pool, Cielo Point also has a cliffside location. The spa pool at Terranea has a fantastic setting next to the Pacific Ocean. The Vista pool is for hotel guests only (you need a key card to enter). This pool is likewise limited for guests 13+. It has loungers similar to the Spa pool. 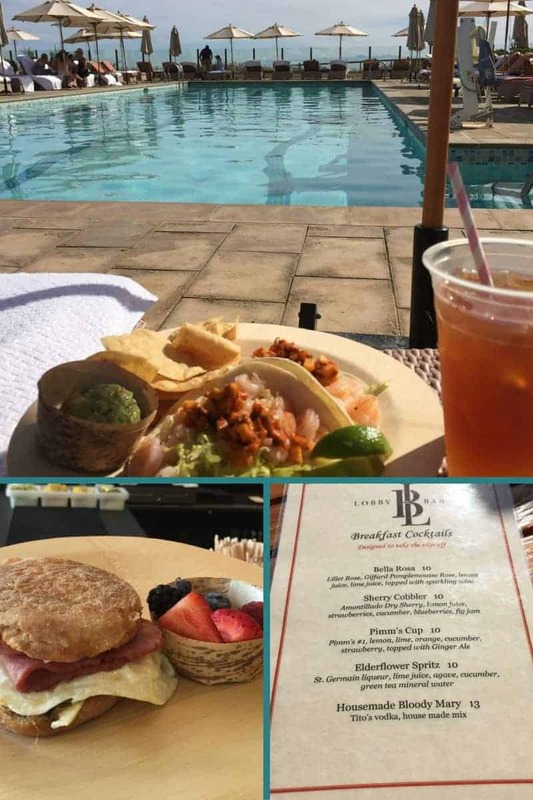 Pool side snacks and drinks enable you to just hang out and fully relax. The Family Pool is probably the largest pool and has a water slide and splash area to keep the kids happy. Needless to say, it is not the quietest pool. The pop music blasted out over the speakers helps drown out the screaming kids. The family pool is spacious enough to spread out. Terranea has no less than 8 restaurants. You have plenty of choice which is good considering the hotel is in the middle of nowhere. You’d need to drive 20 minutes to get into Palos Verdes for an In-N-Out Burger. And, after a long day of lazing by a Terranea pool, who wants to do that much exercise?? Although I did not get to try all 8 of the Terranea Resort restaurants, the quality of the food I had was invariably excellent. There was also all day in room dining. I really liked the ginger shot at the spa cafe as well as the smoothies at Sea Beans, another cafe. The Terranea resort restaurants offer a variety of in-room, pool-side and restaurant options. I loved that the Bar served breakfast cocktails supposedly “to take the edge off”. From what? Waking up on vacation? In any event, the Pimm’s Cup and the Elderflower Spritz sound too refreshing to pass up. Post-breakfast cocktail, I can assure you that I was as edgeless as an infinity pool. The service at the restaurants was excellent. The whole experience of eating at a Terranea Resort restaurant isn’t cheap though. For example, a can of diet coke costs $5 and two chocolate chip cookies are £9. I felt sorry for the Malibu Barbie Babes drinking detox juices when they could be having the yummy cookies instead. The Terranea does a good job catering to families with young children. There is a large family pool which has a water slide and splash area. Even the room-service menu in the hotel has children’s options. 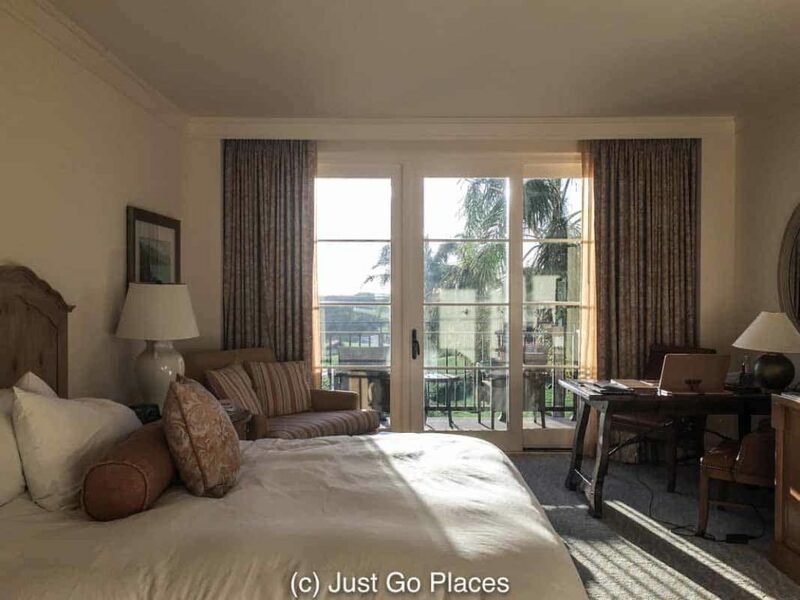 Terranea also offers the option of both hotel and residential style accommodation. You may prefer the two-bedroom bungalows, three-bedroom casitas and large villas for a family holiday. At Terranea Hotel itself, children have the option of staying with their parents in their rooms or having inter-connecting rooms. Not many hotels have such a wide array of options for the family traveller. The hotel rooms are spacious and have a balcony. The clientele are your usual mix of Los Angeleno types, i.e., thin, attractive and fitness-obsessed. The resort is also pet-friendly in case you want to bring your four-legged pets with you. In fact, I saw more well-behaved dogs than children (well-behaved or not). 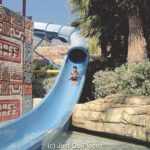 The resort is large enough to keep children occupied when they are not playing in the water. If you have children, you’ll know they can spend endless time in the pool. They can have a fully immersive Southern California lifestyle in the water doing things like, exploring tide pools, kayaking or stand up paddle boarding. On dry land, your kids can clamber over rocks on the cliff walks or take golf lessons at the 9 hole golf course. The hotel does have a kids club with assorted activities as well. 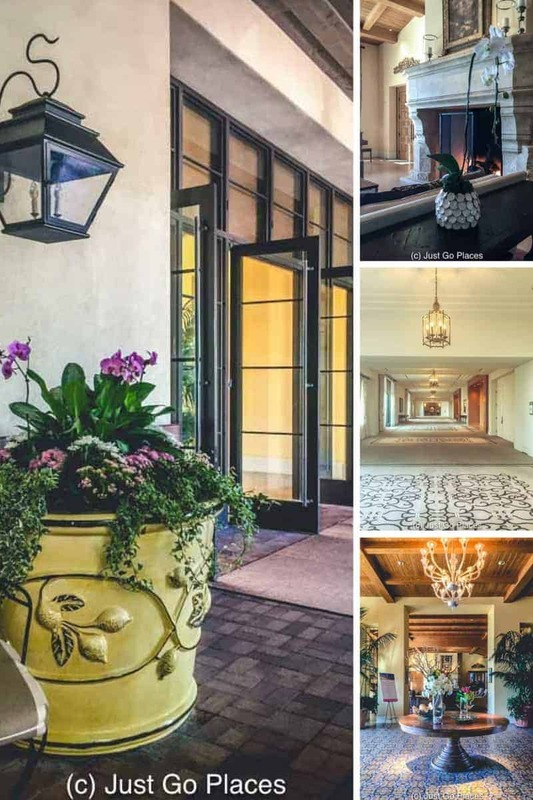 The Terranea Palos Verdes is in Los Angeles county. Palos Verdes, a suburb of the City of Los Angeles, is anywhere from 40 minutes to 2 hours from Los Angeles International Airport depending on traffic. The resort is popular with Brits for this reason. You do feel you are outside the city while you are technically not that far away. We went into the city of Los Angeles for our urban fix of street art and hip restaurants several times and found the route straight-forward. Be warned, you do pass through some scary looking cranes and industrial action as you need to go through Los Angeles Harbor (aka America’s port). 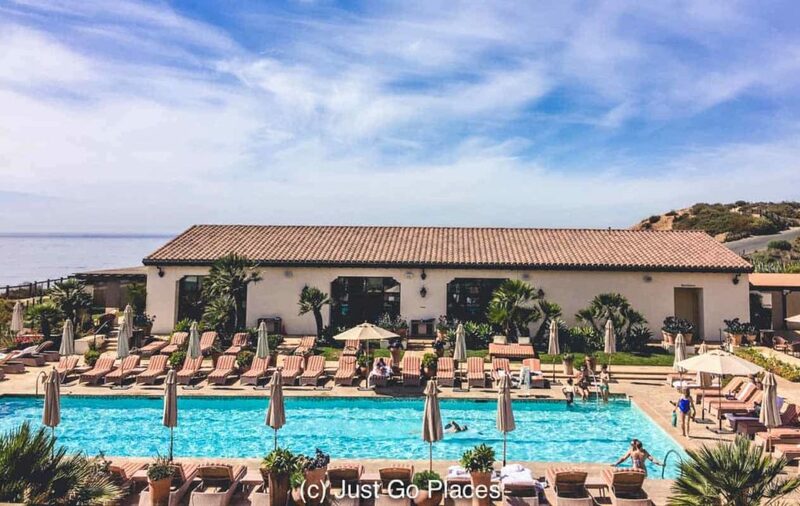 Luxury hotel Terranea Palos Verdes is a great place to unwind near Los Angeles. If you can tear yourself away from Terranea resort, the local area does have some cool attractions. For example, we visited the Wayfarers Chapel, a beautiful timber and glass chapel designed by Frank Lloyd Wright’s son. If you are into haunted attractions, the Point Vicente Lighthouse in Palos Verdes and the Queen Mary in Long Beach have both had their share of ghost sightings. For children, the Aquarium of the Pacific in Long Beach is a cool day out. If you want to venture further into Southern California, Orange County is also an easy destination to reach. Overall we found the Terranea a relaxing way to spend time in Los Angeles. Generally, I don’t consider time spent in Los Angeles particularly relaxing. 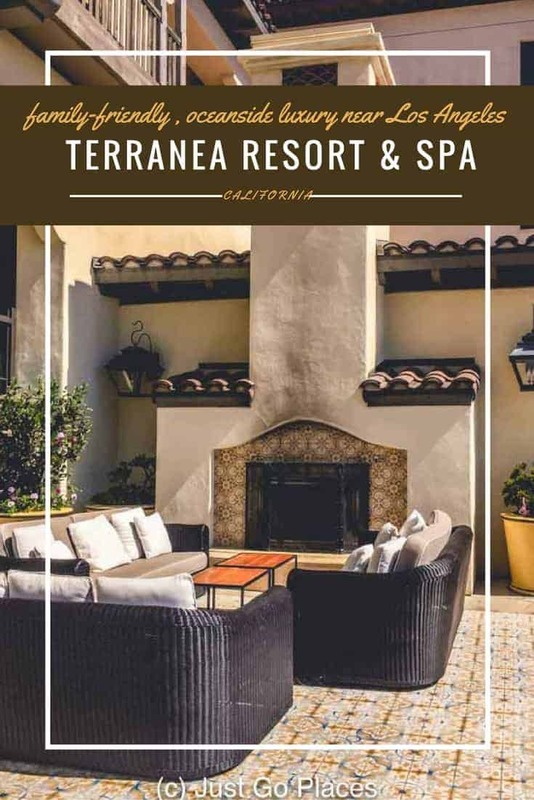 Terranea provides a perfect sunshine break with all the amenities you would expect in a luxury resort and all the comfort and style you would find in Southern California. You will need a car to get around in Southern California. We rented our car through Hertz from which we have a gold membership. 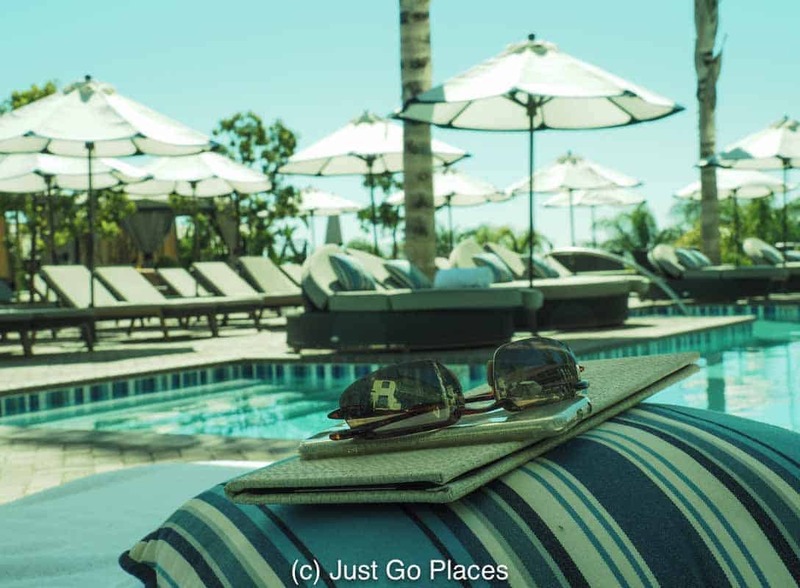 Just Go Places did not receive compensation of any type from the Terranea Resort or anyone else in exchange for writing this article. 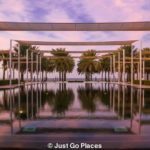 This site generates income via partnerships with carefully-curated travel and lifestyle brands and/or purchases made through links to them at no extra cost to you. More information may be found on our Disclosure Policy. This looks like a beautiful spot to grab some relaxation. Hard to believe it’s so close to Los Angeles! It was indeed pure relaxation. They seem to think of everything to make you forget urban stress. I don’t live too far away in Orange County (although at the wrong time of day it could take a long time lol) and this looks like someplace I need to visit. And sooner rather than later!! Lucky you! living nearby. We fell in love with the weather and outdoorsy life. Wow, thought this was definitely a place on the Italian coast. I would not have thought there to be somewhere like this in California. Looks totally awesome, especially with such a view of the ocean (and those amazing breezes) ! I couldn’t believe how close to Los Angeles it was! I find LA in general congested and tiring (maybe it’s all the driving??) so this was a great way to have both city fun and resort life. This resort hotel sounds massive and it would be easy to just hang there by the pool and dine in one of its many restaurants. I might have to pull myself away to check out the lighthouse tho. We didn’t make it to the lighthouse but we did go to the chapel! We had the lighthouse and the Queen Mary on our list because I tend to chase haunted attractions, but the lure of the pool was too strong. This is a lovely place to luxuriate and relax in. Ambience and setting of the place is so elegant and charming. And finally the views are really magical. I love the looks of the adult pool. What a great place to relax with ocean views! It was indeed! no wonder we were so relaxed on our return home. Second, thanks for the invite!! =P This place looks amazing!!! LOL – I hate math too. thank goodness it is only addition and subtraction. LOL! I pick a pool every time especially because there is waiter service. Wow, what a property. A perfect retreat when you need a break from LA. I actually hadn’t heard of this resort before, so thanks for sharing. I would love to spend a day at the spa and relaxing. Though I would be tempted to drive the 20 minutes to In ‘n Out, one of my necessary stops when I head to SoCal! Of course, we did the In n’ Out burger too. I couldn’t have come so far and not had a Double Double. Love California and the LA lifestyle and vibe of this place – the details and views are truly stunning, I would love to visit and stay here one day. We were definitely converted into fans of southern California after this! Sounds idyllic! My wife would love the gym looking out over the ocean… and I’d love the 8 different restaurants! 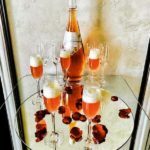 It was slightly decadent to start the day of a breakfast cocktail! I didn’t know that! I think we paid for our valet parking. Heaven knows that with 102 acres, there must be plenty of parking to be had. This is ultimate luxury! I think there is enough things to do there. If eventually one is bored the ocean view and the setting sky throws up a continuous entertainment. Indeed! the sunsets were amazing. I now know why they say the California coast has such great sunsets. This looks like a really good and relaxing. Looks like the perfect place for a staycation. how lucky you get to go regularly! 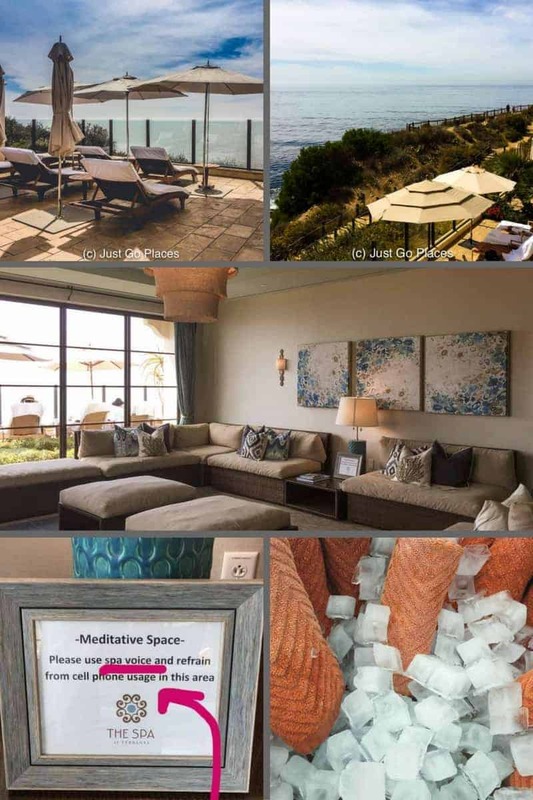 Woow this place looks beyond beautiful…the aesthetically pleasing pictures you’ve added really helped! 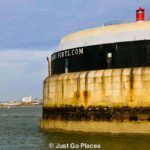 This looks like a great hotel! Very relaxing and charming! I never would have thought it was so close to Los Angeles! The 18+ spa sounds great! I would definitely check that out! Overall, it looks like a beautiful SoCal resort. Wow you had me hooked from your introduction – very descriptive and sounds like exactly the kind of place I would love to be. The pool looks so incredible as does the food. Such a bonus that it both has a spa AND is dog friendly. Can it get any better than that? The whole vibe is relaxed luxury – elegance on xanax. What an absolutely gorgeous place! I can see wanting to escape here for a quick weekend getaway–I think that it would feel like a world away even if you lived nearby! 🙂 We haven’t been to California in years, and it’s high time that I went back. I’d love to stay here on a future trip. Natalie recently posted…The Tiniest Cosmos Mariner is Here! We love California – so vast and so different in many parts. The spa and fitness center looks world class. I would love rest and relaxation with an ocean view to escape the bustling city of LA! It was the only trip to LA where I actually left relaxed. Oh wow Terranea Resort looks amaaazing. Spa sounds great too , i dont mind cliffside with the sound of splashing waves while indulging in a luxurious spa experience 🙂 The pool side menu looks reasonable too for a luxury hotel. Great find. It was all very civilised! Such a great break.